KARACHI: Chairman Pakistan Peoples’ Party Bilawal Bhutto Friday said that the raid on Shehbaz Sharif’s residence to arrest Hamza Shehbaz without warrant is ‘highly condemnable’. The anti-graft body raided the home of Leader of Opposition in National Assembly in Lahore today to nab his son Hamza Shehbaz in assets beyond means case. 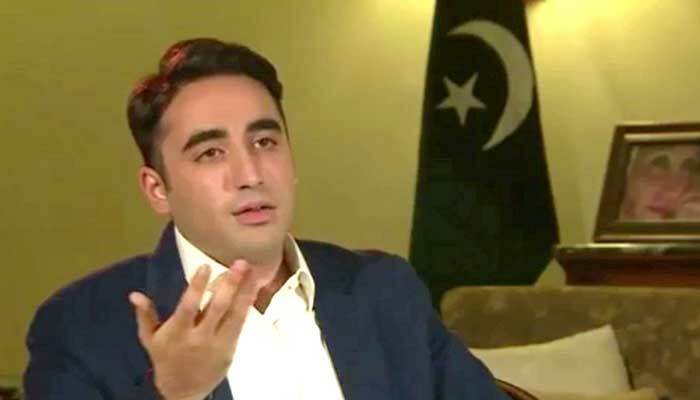 Commenting on the development, Bilawal said PPP doesn’t oppose accountability but wouldn't allow political vendettas in the name of accountability. “Yet another authoritarian and undemocratic move by the government,” he added. In a statement later, the said a team was sent to arrest Hamza Shehbaz on the basis of solid evidence in cases related to assets beyond means and alleged money laundering. The NAB alleged Hamza Shehbaz Sharif's guards manhandled the team and tore their clothes besides giving death threats. "NAB officials had arrest warrants for Hamza Shehbaz," the statement said, adding that it was not necessary for the NAB to inform the suspect beforehand about their arrest. The statement accused Hamza Shehbaz of violating law. NAB said it would arrest Hamza Shehbaz in the light of Supreme Court orders and also vowed to take action against those who interfered during NAB action.